10-21-15 Due to Excessive and Overwhelming demand (causing long lead times) - we are suspending our online retail sales until further notice. New!! AirLoc Adjustable Running Boards! Includes reinforcing plate in the toe hold where RMK’s are known for buckling. 2” of vertical adjustment to accommodate any rider and/or riding style. Vertical adjustment of running boards increases handling & control of machine. Running boards are removable. Can easily be replaced if damaged. Laminated tunnel wrap included to help reduce snow and ice buildup on sides of tunnel. Structural, integrated design increases strength of tunnel dramatically. Running boards are narrowed 1” to allow for technical riding styles. 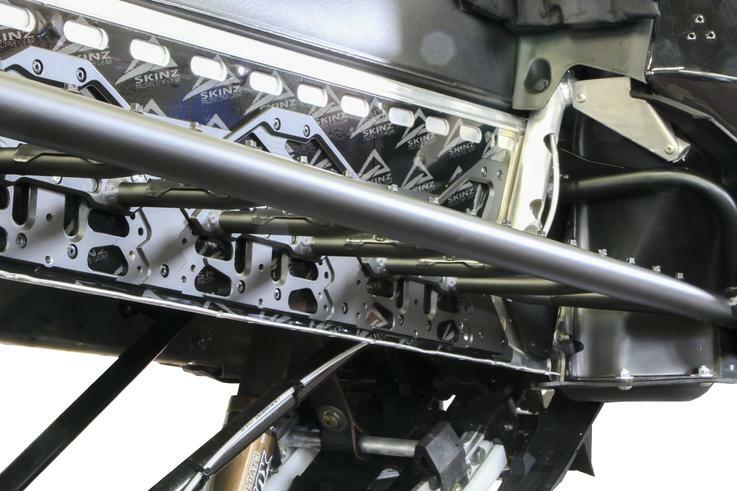 Running boards are constructed with the new “Pro Tube” outer tube for extra strength and weight reduction. New running board position allows additional 3-4” of forward movement in the foot well area. 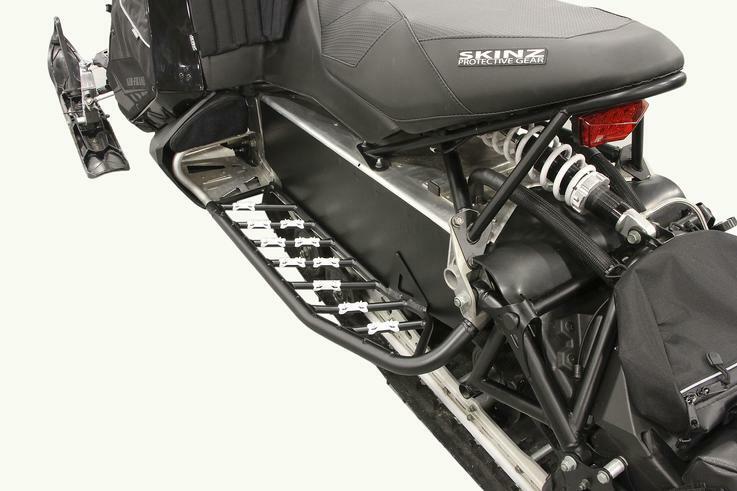 Plastic body protrusions under side panels are removed and narrowed to allow better deep snow performance and a higher degree of technical & steep terrain riding capability. Kits include everything needed for complete installation. Note: For Custom Color Choice please note color in comments section at checkout. Note: If ordering Boards for a Turbo Sled please note in comments section at checkout as all boards are made for non-turbo unless requested. Pro Tube running boards are constructed from a new, larger, outer tube which is extruded from a very high strength aluminum alloy. As a result, these running boards are approximately 22% lighter than the standard SPG Airframe running boards. This translates into up to 1lb of weight reduction per side totaling approximately 2 lbs total depending on the style of running board. The larger outer tube provides a slightly different feel on the foot while riding as the cross tubes are integrated just below the top of the tube. 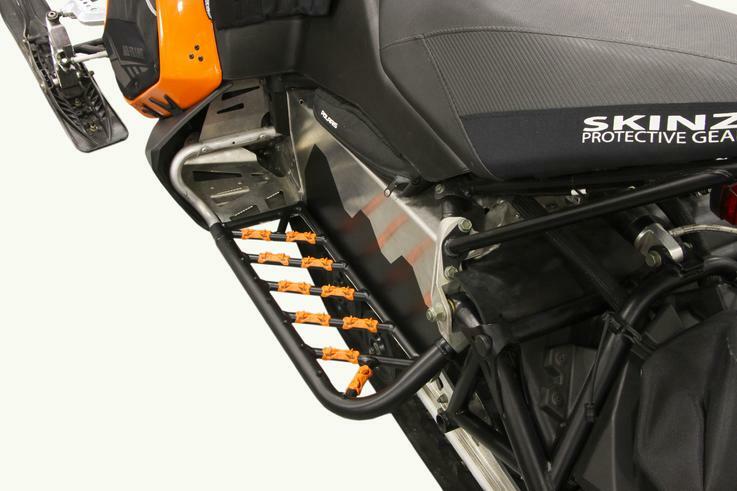 This new design gives the rider a firm feel on the bottom of the boot letting the rider know exactly where the edge of the running board is at all times. High traction plastic cleats are included for the cross tubes and ice studs are provided for the outer tube. Kit include everything needed for installation. 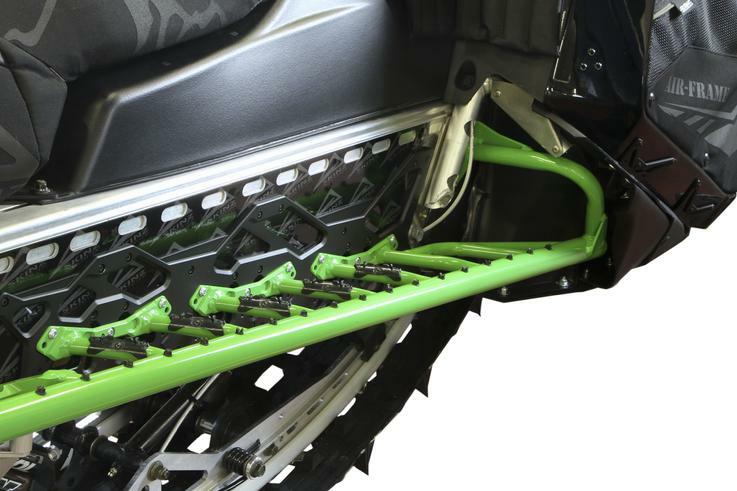 The Ultimate Solution to Running Board Traction and Snow Elimination! SPG now offers Airframe style running boards for the Rush short track and the Rush Switchback crossover machines. Running boards offer the absolute solution for snow buildup and provide extreme traction for all types of riding. Running boards for both units are priced aggressively and affordable. Both styles of running boards incorporate the super strong & lightweight Pro Tube outer tube design. Kits include a black tunnel wrap to finish and provide tunnel protection and reduce snow buildup on the tunnel. Everything needed for complete installation is included. *Or Adding our Bumper YNRB655-AL/FBK for strength. Rasmussen Airframe running boards now include new upgraded vacuum formed plastic corners instead of the aluminum framed, mesh covers. 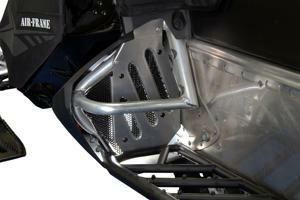 New corners are more durable, offer increased protection for the machine. New plastic corners move through the snow more efficiently and offer better glide during side hilling.